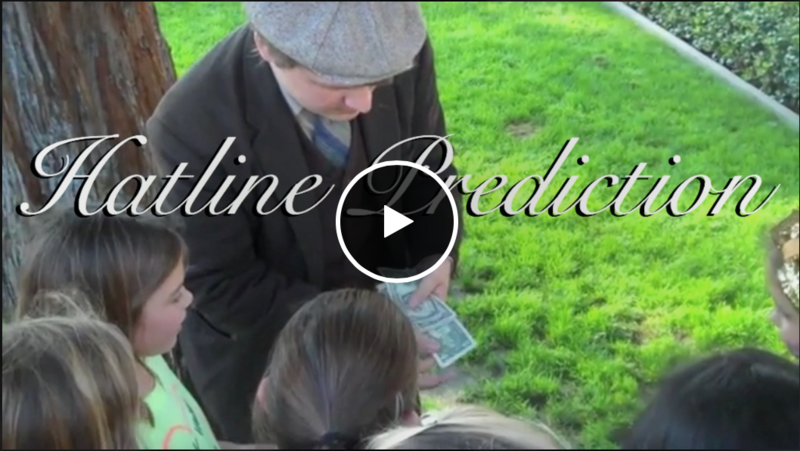 Today, when you order "Haltine Prediction By Michael O'Brien", you'll instantly be emailed a Penguin Magic gift certificate. You can spend it on anything you like at Penguin, just like cash. Just complete your order as normal, and within seconds you'll get an email with your gift certificate. Effect: The magician makes a prediction, seals it in an envelope and hands it to a spectator to hold onto for safe keeping. He then asks for donations from the audience. Using the spectator's borrowed bills, the magician asks a random spectator to choose ANY of the bill. (This is a completely FREE CHOICE and the spectator is free to CHANGE THEIR MIND as often as they want before the revelation). The bill is chosen and set aside. The envelope is opened to reveal a prediction which matches the serial number of the chosen bill. Everything can be examined! This effect is very versatile and perfect for any type of performance. It can be used up close, on the street or even on stage! Plays big when necessary and can be used with any denomination of bill or paper currency. Great way to make extra money while performing on the street, or can be the perfect mentalism effect for your stand-up show! Packs small and is extremely deceptive, especially since the prediction is made and handed out before any bills are even collected (You never touch the envelope again).